4th Annual Women's Equality Day Celebration & Advocacy Action. On August 26, 2018, Katrina's Dream is holding the Liturgy for the Ordination of Women, celebrated by Rev. Caron A. Gwynn, at the National Mall. Folks will start gathering around 2:30 pm The liturgy was first celebrated at St. Saviour's Episcopal Church, Bar Harbor by Rev. Katrina Swanson, who was one of the Philadelphia Eleven, the first group of women priest in The Episcopal Church ordained on July 29, 1974. Washington DC – Katrina's Dream is holding the prayer service - The Liturgy for the Thanksgiving for the Ordination of Women on August 26, 2018, at 3:00 pm at the National Mall, Area 1, the place where the President is inaugurated. The Rev. 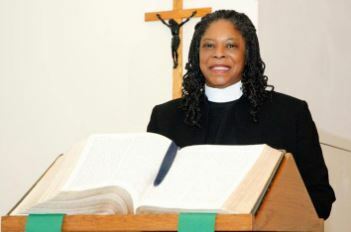 Caron A. Gwynn will celebrate the liturgy with an adaptation from Enriching Our Worship Prayer 3 with contemporary music. 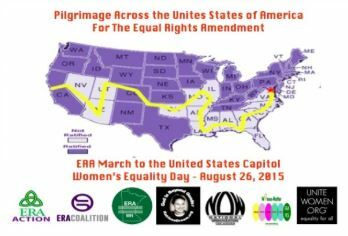 The annual celebration and advocacy grew out of a grassroots groundswell of local and national organizations who came to Washington, DC, on August 26, 2015, to demonstrate their support for the Equal Rights Amendment (ERA) and to walk the last four miles of Helene Swanson's 7,000 mile pilgrimage from San Francisco, CA to the nation's capitol. Swanson traveled across the USA covering the then 15 unratified states to promote the passage of the ERA. Swanson's pilgrimage was the spark and inspiration that lead to Nevada ratifying the ERA on March 22, 2017, making Nevada the first state to ratify in over 40 years. Illinois followed suit this year on May 30, 2018, leaving only one more state to ratify, so that all people will be treated equally under the law. Katrina's Dream has lead a group every Women's Equality Day since 2015 to advocate, as "a cloud of witnesses", calling for the US Congress to remove the deadline imposed on the ERA back in the 1970's. 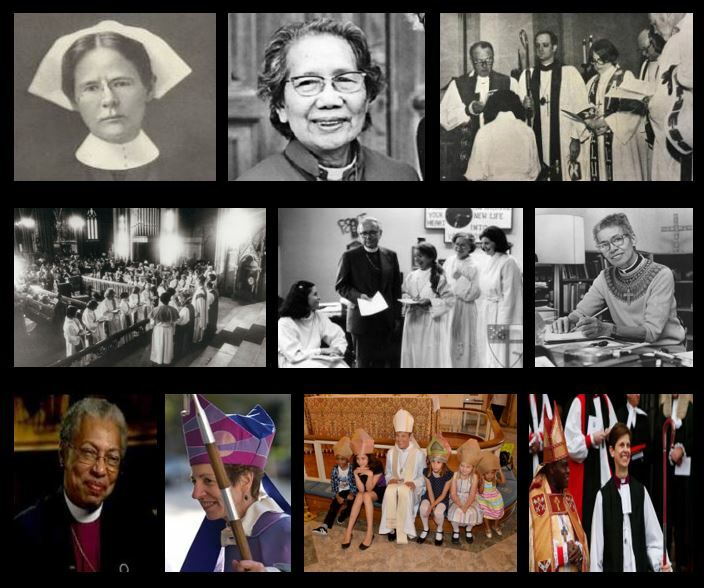 This year many churches here in the United States of America and around the world will be celebrating Women's Equality Day in the church using the liturgy. All will be praying for the empowerment of women. Katrina's Dream is holding a briefing which starts at 9:30 am in the John F. Kennedy Caucus Room, which is located in the Senate Russell Building SR – 325. 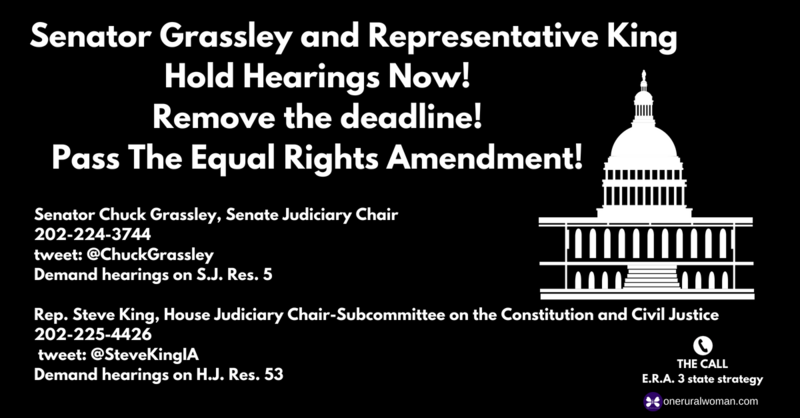 Folks are invited to join the Thunderclap in demanding that our U.S. Congress hold hearings on the Equal Rights Amendment. Click Here.